1. INTERNATIONAL REGISTRATION - HOW TO GET IT RIGHT ! International Registration-How to get it right! Change brings with it apprehension and so has the Madrid System in India. If questions such as,“What is a basic mark? What is the filing process? What is the fee”baffle you, take a look at this step by step procedure on how to make a correct application and all that will happen to your application once you’ve filed it. This is what you should know about the Madrid System. The Madrid System comprises of two Treatises - the Madrid Agreement and the Madrid Protocol. Countries can opt to accede to (i.e. agree to follow) either the Agreement, or the Protocol or both. India has acceded to theProtocol only so Indian Applicants can make Registrations only in other Protocol Territories. The Madrid System envisages the International Registration of marks with centralized administration. Now here’s the answer to all those What’s and How’s! What are the requirements for an International Application? Trade Mark (it must be identical with the Basic mark). Territory (i.eCountry/region) where registration is sought. What is a Basic mark? The Basic mark is either a registered trademark or an application filed for the registration of a trademark (Basic Registration or Basic Application) in one’s own country. This trademark then becomes eligible to be applied for international registration at the International Bureau. If within the first 5 years of the international registration, the Basic Mark is cancelled for any reason, then the international registration will no longer be protected. After the expiry of the period of 5 years, the international registration becomes independent of the Basic mark. Natural person or a legal entity having an industrial or commercial establishment in or being domiciled in, or a national of, a territory, which is a party to the Madrid System, can file an international application. It must be filed through the Office of Origin to the International Bureau (IB is the administrative office for the Madrid System). The Office of Origin is the Trade Marks Registry in one’s own territory e.g. for an Indian applicant it is the Indian Trademark Office. c. What are the Fees? Additionally, handling fee is to be paid to the Office of Origin at the time of filing the international application. INR 2,000.00 is the handling fee for the Indian Trademark Office. d. Where should the Fees be paid? Where the Office of Origin is India, the fees must be paid directly to the International Bureau. The Indian Trade Marks Registry should be paid only the Handling Fee of Rs. 2,000/-. The Office of Origin checks the international application filed. If in order, the application is forwarded to the IB. The IB then checks the application and if in order, it is recorded in the International Register. If not in order, the IB sends back the application to the Office of Origin listing the discrepancies. The Applicant must remedy the discrepancies within three months. Then the IB forwards the remedied application to the TM office of each of the designated territories for official examination as per their local applicable laws. A provisional refusal or Office Action may be raised by the TM Office of the designated territories within 12 or 18 months (as the case may be). All procedure subsequent to the examination report (Office Action) including prosecution, hearing, publication in Trade mark Journal and opposition is carried out between the Applicant and the TM Office of the Designated Territory with no involvement of the IB. However, all refusals and Oppositions are recorded in the International Register. Finally, after the above procedure is complete; the designated Territory’s TM Office informs the IB if the trademark is registered or not in that territory. This is recorded in the International Register and published in the Gazette. The general time frame for obtaining an International Registration can be around 20-22 months from the date of filing (assuming that there is no discrepancy at IB level and no Opposition is filed). Can the Internationally Registered mark be extended? Yes, it is possible to designate other new territories to a mark that is already Internationally Registered so as to extend its protection. What is the validity/term of Registration? An international registration shall be valid for a period of 10 years that can be renewed for further 10 year periods. What is the effect on existing national registered Trademarks? If a mark has already been registered in one’s own Territory, the subsequent International Registration of the same mark becomes easy. An international registration is deemed to replace the prior existing national registration in a designated territory for the same mark. The effect of such replacement is that, the Applicant need not continue to renew the national application but only renew the international one. Can Application be filed through national direct route? Yes. International Application under the Madrid Protocol is an optional route and does not replace the national direct filing route. Changes in the International Registration such as assignment, licensing, change in name and address of Applicant can all be recorded in the International Register. Procedure and Process kept aside, what are the practical implications of India’s accession to the Madrid Protocol? Here’s a no-nonsense take on what to expect. The proprietor of a mark can now obtain registration in multiple territories under one single application number. This saves the Applicant from the trouble of understanding the local laws of different jurisdictions. The ‘one application’ policy is also a boon from an administrative outlook. Where earlier the Applicant had to separately keep track of his application in each country, he can now be updated with the status of his mark in multiple countries with a single status check. One Application immediately entails one renewal. This too is a positive in the administrative arena for the Applicant. The hassles of having to remember multiple renewal dates in different territories can be done away with as he has to renew the mark in all territories on the same date. The mark can be renewed by way of a single request to the International Bureau. All payments to the International Bureau are to be made in Swiss Francs irrespective of the countries that are designated. The Madrid system saves Applicants the trouble of conversion of Fees into different currencies and the subsequent roadblocks faced in the payment procedure. The Madrid system provides for a time bound Examination and Opposition. Where, earlier, Applicants were faced with uncertainty over the time frame for registration, now they are assured of a response to their Applications within a stipulated time frame. There is a significant reduction of costs in the pre- filing and filing stage as far as appointment of locally based legal practitioners is concerned. In fact, if no objections or refusals are encountered from the Registry of the Designated Territory, there will be no need to appoint a local legal practitioner at all. This will significantly save on the cost of Registration in multiple territories. On the flip side, the cost for making an Application, is itself so high that it compensates for any savings made on other fronts. Since all payments need to be made in Swiss Francs and fixed amounts have been decided for such designation, the total cost for making the Application could turn out to be hefty. It now becomes unnecessary to engage legal practitioners in individual countries where registration is sought as a single application is to be made directly to the International Board. Applicants designating India may have to appoint legal practitioners to overcome refusals by the Registry as also Opposition by third parties. Applicants making Applications with India as the Office of Origin may have to appoint legal practitioners in India at the filing stage to overcome irregularities in the Application. What is common knowledge is the existing backlog of cases in the Indian TM Registry. What we are still unaware of is how well the Registry has geared itself to tackle the influx of International Applications designating India. The Rs.300 crores finance earmarked for the strengthening of the TM Registry seems to give solace to such concerns. Where even before the accession to the Protocol, applicants were fretting because of the lengthy registration process, with the influx of international applications designation India, one can only hope that domestic applications through direct national route are not ignored. The 500-character limit to the description of goods & services in Indian national route applications is a known devil. Since all International Applications from Indian Office of Origin need to be based on the Basic mark, their description too cannot exceed the 500-character limit. This may seem unfair when International Applications designating India will have no character limit. Foreign Companies/Individuals can easily extend the registration of their foreign Marks to India with absolutely no intention of even using them in India thereby blocking the registration of indigenous Trade Marks. Here’s hoping the Indian Trade Marks Registry deftly sifts bona fide interests from the otherwise. It’s been almost a year since the Protocol became effective in India. But has it really served its purpose? Our law-makers probably imagined Indian Applicants running a frenzied rat race to make as many International Registrations as possible. Quite to the contrary, we sense in the air a whiff of speculation. Most Indian Applicants are asking themselves if it’s really worth it. That whooping Swiss Franc International Fee is no joke and when converted into INR, the zeroes promise to burn a hole (read big, very big hole) in the humble Indian’s pocket. It appears that the Madrid accession has turned out to be a golden spoon service solely for select Indian Corporate biggies. Indian market traders prefer to opt for the national direct route, which may turn out to be cheaper if you have trusted Attorneys in your interested international territory, who cater to you at reduced rates. As far as International Applications designating India are concerned, let’s vote to wait and watch. The prospect of International Registration extending to India is reason to rejoice for most International Giants. While we believe that a number of International Applications have already been made designating India, the expanse of it all can be best felt only once their Examination, Publication and resultant Oppositions begin full-fledged. A well-designed product is not just a pleasure to use, but also a delight to behold. The value of products is always a combined evaluation of how they are used and how appealing they are to the eye. Purchasers are influenced by the appearance of an article even before experiencing its utility, efficiency and durability. Hence, Manufacturers always aim to create products with attractive designs. An Industrial Design is a design, which is applied to an article and is appealing to the eye. An Industrial Design refers solely to the features of shape, configuration, pattern, ornament, or composition of lines or colours applied to any article by way of a manual, mechanical or chemical process. The design can be applied either to two-dimensional or three dimensional articles. The most important characteristic of an Industrial Design is that it must have features that appeal to the eye. The Shape of bottles is a classic example of Industrial designs. The above picture is indicative of the level of innovation that has gone into the designing of these bottles. Look at the shape of each bottle. Each is different from the other. Each shape is capable of being protected as an Industrial Design. Take a look at the Pen in your hand. Different pens have different shapes, colours and appearance and thereby each such pen is an Industrial design which is capable of protection. Chairs may also be products capable of Industrial Design. Chairs are often designed to look appealing and attractive with different shapes, combinations and patterns. We often find that biscuits and candies come in unique shapes, sizes and colours, these too are Industrial Designs capable of registration. Thus, an Industrial Design constitutes only the aesthetic aspect of an article. Must be manufactured by Industrial process. What this means is that the article cannot be a wholly natural article. The article must be wholly artificial, or partly natural and partly artificial. For example, one cannot take a piece of wood and claim that the shape of the piece of wood is unique and original and hence, he wishes to register the Industrial Design in the piece of wood. If this were allowed, it would be plain absurd. This is because the shape of that log of wood has developed naturally. However, if one takes that block of wood, which is a natural substance, and converts it into a pen holder with a new, unique and original design using an Industrial process, the shape and pattern of the resultant pen holder would be an Industrial Design which is capable of protection. An Original and Unique Design can be protected by way of Registration under the Designs Act, 2000. In India, the Designs Act, 2000 and the Designs Rules, 2001 govern the laws relating to Industrial Designs and the registration thereof. If one wishes to claim monopoly rights over the Industrial Design, it is compulsory to register it. If no registration of the Design is procured, the owner of the design loses his monopoly rights over the Design and cannot stop anybody else from replicating it. The Design should be registered before the design is launched. If application for registration is made after the article is launched, the Design Office may refuse to register the Design. Once the design is registered and articles are being manufactured with the registered design, the article on which the design is applied must be marked with the symbol ‘REGISTERED’ or ‘REGD.’ or ‘RD’ followed by the registration number. Thus, it may be observed that unlike in the case of registered trademarks where the registered symbol may or may not be used, the use of the registered symbol is compulsory in the case of registered industrial designs. If the markings are not made, the proprietor will not be entitled to any penalty or damages in case of any infringement unless he proves that he had taken all precautions to ensure that the marking is made or proves that the infringer had knowledge of registration. the Design is not new/novel or original. Legal conundrum on the interface between Industrial Design protection under the Designs Act, 2000 and Copyright protection under the Copyright Act, 1957 has been long prevalent. We present to you our observations on the effect that this interface has had on Industrial Drawings. Copyright in Industrial Drawings It is often contended that works such as industrial drawings of machines and products are capable of Copyright protection. In this manner, the owner of the industrial drawings attempts to enjoy the Copyrights in the drawings for his lifetime plus 60 years. However, Section 15 of the Copyright Act, 1957 seeks to cap these Copyrights in respect of industrial drawings which are registered/ capable of being registered as designs. Section 15 of the Copyright Actis thus testimony of the conflict between Copyright and Design protection. Section 15 comprises two parts. Section 15 (1) - This is the main dividing line between Copyrights and Designs. It lays down that the owner of a design cannot claim Copyright protection in respect of the design once it is registered under the Designs Act. This means that the registered owner will enjoy monopoly rights in respect of the design for a term of 15 years only under the Designs Act instead of a longer term of ‘60 years plus the life of the author’ as under the Copyright Act. Section 15 (2) – This then provides that if the work, which is capable of being registered as a design is not so registered, the owner can enjoy Copyright protection under the Copyright Act only so long as the design is not applied to more than 50 articles produced by an industrial process. So as soon as the design is applied to the 51st article, the owner loses all Copyright protection in respect of that design. More often than not, it is Section 15(2) that is called in question in judicial proceedings. In order that the restriction under Section 15(2) should come into play, the work must be capable of being registered as a design under the Designs Act. As stated in our previous article,designs which are artistic works, trademarks, merely mechanical in nature etc are not capable of being registered as designs. It was held that Copyrights will exist in an industrial drawing where the drawing is not capable of being registered under the Designs Act because it pertains to a mechanical function. However, Section 15(2) of the Copyright Act was not discussed in this case and thus Courts are often hesitant to take this decision as binding on subsequent cases. The next best option is for owners to contend that the industrial drawing is actually an artistic work under the Copyright Act and thus, is not capable of being registered as a Design under the Designs Act. In that case, he will continue to enjoy Copyrights in the drawings even after the drawing has been applied to the 51st article. It was held that the respondent’s work is entitled for protection under the Copyright Act and is an original artistic work. Since the work is an 'artistic work' which is not covered under the Designs Act,2000, it is not capable of being registered under the Designs Act and the provisions of Section15(2) are not applicable. One of the factors employed by Courts in ascertaining whether a particular industrial drawing is an artistic work or not is to judge the intention with which the industrial drawing was made. So if it can be shown that the industrial drawing was developed without the intention of applying it to an article, then the copyrights in the industrial drawing will survive even if the drawing is later applied to an article. Thus, copyright in an artistic work is not forfeited under s. 15 (2) of the Copyright Act unless the intended industrial use of the work was simultaneous with its coming into existence. It was held that whatever be the nature of the drawings, the purpose and intention of those drawings would be the relevant criteria to consider whether the drawings are Designs in the light of the provisions of the Designs Act or artistic works under the Copyright Act, 1957. If the Court is not convinced with the artistic nature of the industrial drawings and believes that the drawing is a Design capable of being registered under the Designs Act,the 50 article test is employed. If the industrial drawing is applied to an article and such an article has been reproduced using an industrial process more than 50 times, the Copyrights in the industrial drawing are lost. Cancellation of Copyright Registration What ensues if you register the Copyrights in your industrial drawings under the Copyrights Act instead of registering it as a Design under the Designs Act? As long as only 50 or lesser articles are reproduced with the design applied to them, all is well and the owner will continue to enjoy Copyright Registration in respect of the industrial drawings. But, if the design is applied to more than 50 articles, then the Copyright Board may even be directed to expunge the Registration of the Copyrights in light of the provisions of Section 15(2). Where the industrial drawing is for a Machine and the drawing has been applied to more than 50 machines the Copyright in the Industrial Drawing is immediately lost. Even if the Copyright in the industrial drawing is registered, the Registrar of Copyrights can be directed to expunge the entry relating to the machine from the Register of Copyrights. In an action for passing off of design, in order to succeed, the plaintiff has to prove that there is such a striking resemblance between the two products that the consumer would buy the goods of the defendants thinking the same to be of the plaintiff. To put it differently, what is to be shown is that the defendant is trying to confuse the customers by passing off its goods as that of the plaintiff. It was held that the right to sue for passing off is an independent right that arises under the Common Law and is not dependent upon the Designs Act. The common law right of passing off is distinct and is available de-hors the Designs Act. M/s. JagdambaImpex vs M/s. Tristar Products Private Ltd. The recent decision by the Delhi High Court in M/s. JagdambaImpex vs M/s. Tristar Products Private Ltd. (in appeal)proves an interesting study on this subject. In the trial Court, Tristar was successful in restraining Jagdamba from using a certain Machine for the manufacture of combs. The Machine was first developed by Tristar on the basis of certain industrial drawings created under its directions. These industrial drawings are original artistic works and thus, it owns the Copyrights in the industrial drawings of the Machine under the Copyrights Act, 1957. Jagdamba has, without authorization, developed their Machine on the basis of these industrial drawings of Tristar. Jagdamba has infringed the Copyrights of Tristar by developing its Machine on the basis of the industrial drawings belonging to Jagdamba. Tristar stated that, the industrial drawings are artistic Works under Copyrights Act and thus, are not Designs. If they are not Designs then they obviously are not capable of being registered under the Designs Act. If they are not Designs and they are not capable of being registered, then Section 15 will not be attracted at all. The Court however, observed that the industrial drawings are not artistic works but are capable of being registered under the Designs Act because their sole purpose was to be applied to an article to be produced using an industrial process. In such a case, Section 15 would be attracted. The Court discussed the 50 article provision under Section 15 at length. However, there seemed to be an unsettling presentation/interpretation of section 15 vis-a-vis the facts of the case. It was undisputed in this case that more than 50 combs were produced by Tristar using the Machine. On the basis of this, the Court held that Tristar should have registered the industrial drawings under the Designs Act and it had lost all Copyrights in the industrial drawings as soon as the 51st comb was produced. However, the facts suggest that the industrial drawings were made for the development of the Machine and not the comb. So, in order to attract the provisions of Section 15, should it not have been proven in Court that in fact more than 50 Machines were produced? Section 15(2) is to be applied in respect of those articles to which the design has been directly applied. In such a case, was it correct for the Court to conclude that the 50+ reproductions of the by-article (read comb) amounted to the 50+ reproduction of the industrial design relating to the Machine? The Court held that in the light of the provisions of Section 15(2), the suit itself is misconceived. It set aside the injunction granted by the Trial Court on the grounds that the Trial Court had granted such injunction without referring to Section 15(2). Furthermore, in consideration of the commercial hardship caused to Jagdamba as a result of the injunction granted on the basis of a misconceived suit, the Court ordered costs in the nature of Rs. 1 Lakh to be paid to Jagdamba. The never ending debate on Section 15(2) seems only to have been given impetus by this decision. One important point that comes to the forefront is the requirement of a clear distinction between industrial drawings of a product and the industrial drawings of a machine. With respect to the latter, must the 50 article rule be applied to the machine or the product produced by the machine? Term of the registration of a trademark is 10 (ten) years and renewable at an interval of every ten years. Thus, registration of a trademark is in fact perpetual if renewed from time to time. The mark is treated as registered with retrospective effect i.e. from the date of making an application. Those trademarks, which are registered under the erstwhile Trademark law of 1958 are also now renewable at an every interval of 10 years instead of 7 years as per the Trade Mark Act, 1999. The registration of a trademark has to be renewed at the periodic interval of every 10 (ten) years by filing a request in a prescribed form with applicable fees. The Renewal request is to be filed anytime prior to 6 (six) months before the expiration of the last registration of the trademark. As per the law, the Trademark Office has to send a notice in Form O-3 at least 3 (three) months before the expiration of the last registration of a trade mark notifying the proprietor or to its Attorney about the due date for renewal of the registration. However, it is pertinent to refer a recent judgment in this regard - PernodRicard v. Contoller General of Patents, Designs and Trade Marks and Ors. 2012 (51) PTC 227 (IPAB), wherein it has been held by Intellectual Property Appellant Board (IPAB) that the proprietor of the trade mark whose trademark has been removed from the Registry due to non-renewal of the same, cannot take the defense that the Registrar should have ought to inform him by issuing Form –O3 thereby informing the proprietor of the approaching expiration. The Registrar is bound to provide advertisement of the removal of trade mark but is under no obligation to inform separately to the proprietor through Form-O3. Application for renewal after six months is not a matter of right but a matter of discretion which shall be judiciously exercised by the Registrar. Hence, it is always advisable to renew the mark without waiting for the said intimation in Form O-3 notice. Only renewed trademark is treated as valid, in force and confers exclusive rights. The registered proprietor can fight against infringement of its registered trademark only if the mark is duly renewed. The protection under the Customs Act, 1956 can also be availed only when the mark is renewed. The renewal of a Trademark from time to time shows that the registered proprietor is active and vigilant in respect of his rights. Only renewed and valid registered Trademark is acceptable in the court of Law in respect to various legal proceedings. Is there any grace period to renew registration of a trademark after the expiry of due date? Yes, the trademark can be renewed after the expiry of due date but only within a period of 6 (six) months from the date of expiry of registration subject to payment of additional fees. What happens to the trademark, if registration is still not renewed within the available grace period of 6 months? If the trademark is not renewed within the available grace period of 6 months, then the technically registration of the trademark shall lapse. Are there any avenues in place to restore registration of lapsed trademark? Yes, the Act provides one more opportunity to restore the registration of lapsed trademark by way of making a specific request along with prescribed renewal fees. Thus, a total of 12 months are available after the expiry of due date to renew registration of any Trademark to maintain its validity. What happens if no renewal or restoration request is filed within the restoration period? The Trademark is removed from the Register of Trademarks and cease to have any rights and privileges as a registered Trademark. What is the effect of a removed/lapsed registered Trademark on subsequent trademarks? Where a trademark has been removed from the Register for failure to pay the renewal fee, it shall nevertheless for the purpose of any application for the registration of another trademark during one year next after the date of removal, be deemed to be a trademark already on the Register. In other words, despite removal of the lapsed trademark from the Register, it can pose obstacle for registration of subsequent trademark. However, if the registered trademark is removed and/or not renewed for a longer period, it will not pose any obstacle and the Registrar may accept the application for publication/advertisement of such subsequent trademark in the Trademark Journal. Established brands are those trademarks that have gained reputation through its extensive and continuous but successful usage, such as McDonalds, Siyaram’s, LAKME etc just to name a few. Now just consider a business model, which allows even a start-up company to use the well-known trademark on its products and/or services, and conduct operations with a guaranteed success ratio. Yes, the answer lies in franchising. Franchising has developed as a viable business option in India throughout the passage of time, with the Indian market becoming more and more conscious about various brands both national and international. Now-a-days companies have started focusing on building their brand in their targeted market segment. Franchising is a much wider connotation wherein, the franchisor authorizes the franchisee to conduct the operations of its business in a directed manner which involves a well-established trademark. Whereas under licensing of trademarks, usually the proprietor of mark (both registered and unregistered) can license the usage of its mark to any third party. The third party then is authorized to sell/distribute the products with the licensed mark. There are basically no conditions on how the licensee should operate its business which is otherwise a primary requisite in any franchising model. Before embarking on investing in a particular franchise, the franchisee is advised to do a thorough ground level research on the business model, category of goods and services, chances of success, whether you have enough start-up and operating capital etc. Advantages of franchisee includes usage of an established business model and trademark, guaranteed success ratio in initial stages of its launch itself, minimized advertising costs, on-going support obtained from the franchisor etc. However, franchising also has its own set of disadvantages such as trademark/brand dilution, franchisor to ensure standardization and maintain uniformity throughout its franchising outlets, strict adherence on how to run the business, no governance authority in conducting business, etc. Until 2001, there was no authority or body to regulate the activity of franchising in India. However, in 2001, Franchising Association of India (FAI)- http://www.fai.co.in/ was formed as a not for profit industry association thereby representing franchisees, franchisors and service providers to the sector. FAI has its head office in Mumbai and regional office in New Delhi. FAI is member of World Franchise Council and is affiliated with franchising associations around the world. Considering Government of India has permitted 51 percent Foreign Direct Investment (FDI) in multi-brand retail, franchising can be considered as the most lucrative option for Multi-National giants to establish their presence in India. India has a $4 billion franchise sector growing at a rate of 25-30% annually. (Special Leave) Appeal filed by Cadila Healthcare Limited has been disposed off by the High Court. Based on the order dated 30th May, 1998 passed by Extra Assistant Judge, Vadodara thereby dismissing the interim injunction application and came to the conclusion that the two drugs FALCIGO and FALCITAB differed in appearance, formulation and price and could be sold only to hospitals and institutions and there was, thus, no case had been made out for grant of injunction and there was no chance of deception or/of confusion specially as the drug was not meant to be sold to any individual. Even, the High Court came to the conclusion that it could not be said that there was a likelihood of confusion being caused to an unwary consumer in respect of the disputed marks. A. Court held that while dealing with cases relating to passing off, one of the important tests which has to be applied in each case is whether the misrepresentation made by the defendant is of such a nature as is likely to cause an ordinary consumer to confuse one product for another due to similarity of marks and other surrounding factors. What is likely to cause confusion would vary from case to case. Where medicinal products are involved, the test to be applied for adjudging the violation of trade mark law may not be at par with cases involving non-medicinal products. A stricter approach should be adopted while applying the test to judge the possibility of confusion of one medicinal product for another by the consumer. While confusion in the case of non-medicinal products may only cause economic loss to the plaintiff, confusion between the two medicinal products may have disastrous effects on health and in some cases life itself. Stringent measures should be adopted especially where medicines are the medicines of last resort as any confusion in such medicines may be fatal or could have disastrous effects. The confusion as to the identity of the product itself could have dire effects on the public health. The nature of the marks i.e. whether the marks are word marks or label marks or composite marks, i.e. both words and label works. The degree of resembleness between the marks, phonetically similar and hence similar in idea. The nature of the goods in respect of which they are used as trade marks. The similarity in the nature, character and performance of the goods of the rival traders. The class of purchasers who are likely to buy the goods bearing the marks they require, on their education and intelligence and a degree of care they are likely to exercise in purchasing and/or using the goods. Any other surrounding circumstances which may be relevant in the extent of dissimilarity between the competing marks. Supreme Court allowed the appeal filed by the Appellant (Amritdhara Pharmacy). The Court held that the two names “AMRITDHARA” and “LAKSHMANDHARA” shall be used in respect of preparations that are purchased mostly by people who instead of going to a doctor wish to purchase a medicine for the quick alleviation of their suffering, both villagers and townsfolk, literate as well as illiterate. To such a man the overall structural and phonetic similarity of the two names 'Amritdhara' and 'Lakshmandbara' is, in the Court’s, opinion likely to deceive or cause confusion. Every case must depend upon its own particular facts, and the value of the authorities lies not so much in the actual decision as in the tests applied for determining what is likely to deceive or cause confusion. Also, a critical comparison of the two names may disclose some points of difference, but an unwary purchaser of average intelligence and imperfect recollection would be deceived by the overall similarity of the two names having regard to the nature of the medicine with a somewhat vague recollection that he had purchased the similar medicine on a previous occasion with a similar name. Appeal filed by the Appellant has been dismissed by the Supreme Court. The Court did not find any similarity between the marks either from the visual or phonetic point of view. Also, preparations from their very nature were likely to be purchased on the prescription of doctors, and under Rule 61(2) of Drug Rules, 1945 it could be sold only by licensed' dealers so the possibility of confusion would be reduced to a considerable extent. It is important that the marks must be compared as whole. It is not right to take a portion of the word and say that because that portion of the word differs from the corresponding portion of the word in the other case there is no sufficient similarity to cause confusion. The true test is whether the totality of the proposed trade mark is such that it is likely to cause deception or confusion or mistake in the minds of persons accustomed to the existing trade mark. The Delhi High Court passed an adverse order against the Defendants thereby restraining them from manufacturing selling, marketing or advertising or promoting any pharmaceutical preparations under the trademark FIFOL-Z, FIFOL or any other mark which is identical or deceptively similar to the registered trademark FEFOL/FEFOL-Z of the Plaintiffs. The Court held that the trademark FIFOL-Z of the Defendants is structurally, phonetically as well as visually similar and almost identical to the registered trademark FEFOL-Z of the Plaintiffs. It is also settled proposition of law that the question as to whether the two competing marks are so similar as to be likely to deceive or cause confusion has to be approached from the point of view of a man of average intelligence and imperfect collection and not from the point of view of an educated person who is well placed in life. The Courts also need to ensure that there is no confusion in the mind of the customer as regards the source of the product he is buying and he needs to be assured that he buys the same product which he intends to buy and identifies by its name. The Court held that the ORZID and FORZID are phonetically similar to each other. However, except the phonetic similarity, it is to be considered that the drug in question is a scheduled drug available only on prescription as an injectable formulation and various dosage is prescribed for various age groups and there cannot be any confusion in the minds of the consumer in purchase of the drugs. Hence, the (Original Side) appeal filed by the Appellant has been disposed off. "10. A person may sell his goods or deliver his services such as in case of a profession under a trading name or style. With the lapse of time such business or services associated with a person acquire a reputation or goodwill which becomes a property which is protected by courts. A competitor initiating sale of goods or services in the same name or by imitating that name results in injury to the business of one who has the property in that name. The law does not permit any one to carry on his business in such a way as would persuade the customers or clients in believing that the goods or services belonging to someone else are his or are associated therewith. It does not matter whether the latter person does so fraudulently or otherwise. The reasons are two. Firstly, honesty and fair play are, and ought to be, the basic policies in the world of business. Secondly, when a person adopts or intends to adopt a name in connection with his business or services which already belongs to someone else it results in confusion and has propensity of diverting the customers and clients of someone else to himself and thereby resulting in injury." "You must take the two words. You must judge of them, both by their look & by their sound. You must consider the goods to which they are to be applied. You must consider the nature & kind of customer who would be likely to busy those goods. In fact, you must consider all the surrounding circumstances; and you must further consider what is likely to happen if each of those trade marks is used in a normal way as a trademark for the goods of the respective owners of the marks. If, considering all those circumstances, you come to the conclusion that there will be confusion- that is to say, not necessarily that one man will be injured & the other will gain illicit benefit, but that there will be confusion in the mind of the public which will lead to confusion in the goods- then you may refuse the registration, or rather you must refuse the registration in that case." D. Difference between confusion and deception- “This difference was explained by Lord Denning in "Difference: Confusion & Deception" in the following words:……The difference is this: when you deceive a man, you tell him a lie. You make a false representation to him & thereby cause him to believe a thing to be true which is false. You may not do it knowingly, or intentionally, but you still do it, & so you deceive him. But you may cause confusion without telling him a lie at all, & without making any false representation to him. You may indeed tell him the truth, the whole truth & nothing but the truth, but still you may cause confusion in his mind, not by any fault of yours, but because he has not the knowledge or ability to distinguish it from the other pieces of truth known to him or because he may not even take the trouble to do so." You must be now familiar with the guidelines and the approach adopted by the courts in determining similarity of marks. However, in our next edition we shall cover those cases wherein courts have adopted a different view in adjudging between 2 deceptively similar marks by not necessarily following the laid-down guidelines. Whatever may be the intention of Great William Shakespeare stating the above phrase, a name (Trademark / Brand name) means a lot particularly, in today's globally competitive business scenario. Success in the business world depends largely on the message you convey and the image you project. If people can’t pick you out easily, they will probably overlook your business in favour of one with a greater presence. Your trademark distinguishes your goods and services from those of your competitors’ and helps to establish your identity in the market place. According to International Trademarks Association (INTA), the average person sees or hears about 1500 trademarks every day. This number appears optimistic but may be true particularly in the cities like Mumbai, Delhi, Bangalore etc. For a trademark owner, the Trademark is the most valuable asset. A Trademark gives your product an identity, it facilitates communication between your Company and the consumer. It is always an endeavor of every marketing and sales personnel to make sure that the Trademark for a product is as special and unique as the product. In this global world, you want to be sure that it can use its Trademark in India and all the other countries of the world where you intends to sell the product as also on the internet (this includes Domain Name). Yes, it is a herculean task to find, register, maintain and protect a useful trademark not only in India but also in all other countries of potential interest. In this newsletter, we have endeavored to touch upon the basics of trademarks and a few simple rules or rather Do’s and Don’ts for your valuable Trademarks. or combination of any of these which identifies the goods or services of one person and distinguishes them from the goods and services of other traders. Any Trademark associated with a Service is known as a Service Mark e.g. ORANGE for Mobile phone service, BLUE DART for courier service. These Trademarks are meaningless trademarks which enjoys highest amount of legal protection e.g. KODAK, RANBAXY, DABUR. These marks also includes common words but arbitrary in connection with the products or services e.g. TORTOISE for Mosquito coil, CAMEL for Cigarettes, APPLE for Computers, OMEGA for watch. These Trademarks are always preferred by Marketing people as it creates association with the product without being descriptive. These Trademarks are easily remembered and easy to promote than coined or invented marks. Suggestive marks also includes plain dictionary words e.g. SWATCH, TITAN, RELIANCE, INFO GATE, CYBERSURFER, HEAD & SHOULDER . However, the legal protection granted to these type of marks are lower than the one granted to the coined or invented marks. Many times, degree of protection varies according to the Trademark, which could be considered as Semi descriptive or descriptive. There is a thin difference between semi descriptive or descriptive Trademarks and can be protected by acquiring secondary meaning with long, extensive and uninterrupted use. A Trade Name or House mark is a mark to identify a Company or a business and serves as the name of the Company or a business. Many times, a Group of Companies use its house mark on its products or services along with or without any other Trademark e.g . GODREJ’s JUMPIN and GODREJ STOREWELL, TATA TEA, TATA SALT, TATA PRESS, NESTLE’s NESTEA, NESTLE’s MILO, BAJAJ SCOOTER, BAJAJ MAJESTIC for Toaster, BIRLA WHITE Cement, BRITANNIA GOODDAY, BRITANNIA CREAM TREAT, AMUL CHEESE, DABUR HONEY. Generally these Trademarks are adopted and used to indicate the source of the product taking advantage of reputation already enjoyed by the Company or a business group. However, it is pertinent to note that use of such reputed House mark make other Trademark unimportant, indistinctive and automatically dilutes its importance. Hence, it is always important to project the Trademark more aggressively showing an association with a business House e.g DABUR VATIKA, ZANDU KESARI JEEVEN. The Trademarks used along with House mark may be denied legal protection if it is not projected properly or emphasis is given more to the House mark. Each of the above mark may be combined with figurative elements or marks. It is also possible to use a figurative mark in isolation. Such figurative elements are added or used exclusively for different markets where there is communication problem i.e different languages are used in different markets. For its distinctiveness full legal protection is granted to such figurative marks. These are actually not a Trademark but generic, chemical or ingredient’s original name. However, some of the Trademarks which are used generically and hence became generic and not protected as a Trademark. E.g. ASPIRIN, THERMOS, KEROSENE ESCALATOR, GRIPE WATER, REFRIGERATOR were Trademarks but due to its general and descriptive use by all together with improper protection by its owners made them generic words. Today, many companies are facing dilution of their Trademarks due to its general use such as XEROX for photocopies, VELCRO for fasteners etc. Thus words, expressions or devices which are descriptive of particular goods are open to use by others engaged in the trade and hence can not be considered as adapted to distinguish the goods of a trader with another. A Trademark is considered to be good and therefore registrable only if it is distinctive, that is to say, it must be adapted to distinguish the goods or services of a trader from the goods or services of others. Distinctiveness may be inherent in the mark itself as in the case of invented words, non descriptive words, and devices. It can also be acquired by user in case of suggestive and descriptive words, surnames etc. depending upon extent of use, nature of the goods etc. There are many marks which are purely descriptive and laudatory expressions or very common surnames which can not be registered even with long use. e.g. ALL WOOL, JANATA, PERFECTION, SIMLA, BOMBAY, NATIONAL etc. It is therefore advisable to avoid choosing a word which are directly descriptive of goods or having direct reference to characters or quality of goods, common surnames and geographical names. E.g. MILK MORE, MILKY WAY, SCOTCH WHISKY (Whisky manufactured at Scotland). A mark, the use of which is likely to deceive or cause confusion, or is contrary to any law for the time being in force. A mark in respect of any goods or description of goods which is identical with or deceptively similar to an already registered Trademark. A mark which comprises or contains scandalous or obscene matter, or any matter likely to hurt the religious susceptibilities of any class or section of the citizens of India. A mark which is otherwise disentitled to protection in a court. A word which is commonly used and accepted name of any single chemical element or single chemical compound in respect of any chemical substance (generic marks). Marks which suggest a connection with any living or recently deceased person may not be registered, except with the consent of that person or of his legal representatives (e.g. founder’s photo for KFC “KENTUCKY FRIED CHICKEN”, founder’s photo on HIMTAJ OIL). ALWAYS choose a Trademark which is appealing to eye and ear, short, easy to pronounce and remember as well as easy to spell and write. ALWAYS conduct a complete availability search for a Trademark. This search should include search at the Trademarks office in India, search in all the available database such as industry magazines /periodicals, Yellow Pages, market resources etc. Legal clearance is always necessary to be obtained to avoid any future disputes. ALWAYS distinguish Trademark from other words in printed matters. In any printed materials like Agreements, Invoice copies, Instruction materials etc., the Trademark should be written either in block letters or within quotation marks or always use appropriate symbols like ® or TM (e.g. in Agreements like Software license, words (marks) like MICROSOFT, INTEL, IBM or LOTUS are always written with appropriate symbols). ALWAYS register and maintain registration of the Trademark. It grants many advantages like protection against infringement of trademark, exclusive use of the mark and prevent others from using, applying the said Trademark without proper authority. It is quite necessary to monitor the activities of competitors, their adoption and use of the Trademark. ALWAYS consider registering a Trademark in all the countries of potential interest. ALWAYS keep a watch on unauthorized use of identical and/or similar Trademarks and take appropriate action (passing off or infringement as the case may be) at the earliest to prevent such use. Collect as many evidence of unauthorized use as possible. ALWAYS acknowledge with a footnote, if you are using a Trademark of another party. ALWAYS make and create awareness among the internal staff about the proper selection and use of a Trademark. Circulation of a note on “do’s” and “don’ts” of Trademark selection and use will be quite useful. Such explanatory and inexpensive brochure can be very effective in creating awareness. ALWAYS appoint a responsible person within an organization to supervise and co-ordinate the adoption and use of the Trademark. He should be responsible to review advertising, packaging and other documentation for compliance with the basic rules of a Trademark. He may conduct a periodical audit to monitor compliance on all the printed matters including packaging of the Products. ALWAYS use symbol ® on the shoulder of a mark in case of Registered Trademark (e.g. MICROSOFT® with a phrase “Registered Trademark of Microsoft Corporation”) and TM in case of unregistered Trademarks (e.g.- BAZOOKA™ with a phrase “Trademark of Matshushita Corporation”). Such symbols indicate Trademark rights of an owner in respect of the goods for which it is applied. It is a criminal offence to indicate an unregistered Trademark as registered Trademark or use of a symbol ®. Such misrepresentation also attracts penal provisions of the Trade Marks Act. NEVER use plural words in a Trademark e.g TIC TAC for Candies and not TIC TACS. NEVER modify a Trademark from its possessive form (i.e. with apostrophe 'S) e.g McDONALD’S, DOMINO’S PIZZA, LEVI’S JEANS, and KELLOGG’S for Cereals. NEVER use a Trademark as a noun but use an adjective modifying a noun. NEVER use a Trademark as a verb. Trademarks are for Products or Services and never actions. E.g. it is not XEROXING but Photocopying. *It is pertinent to discuss in brief about the Trade Dress. Trade Dress is the overall appearance of the goods or their packaging or of advertising or the means for delivering goods or services. For Example a restaurant’s name or logo will constitute as a Trademark while its style, furnishing and ornamentation of restaurant premises identify the restaurant’s services, which constitute Trade Dress (e.g. McDONALD’S restaurant chain). Even the shape, size and graphic design of packaging including its internal and external configuration will constitute a Trade Dress (MAGGI in a typical yellow and red colours). Trade Dress like a Trademark, is protectable if it is distinctive i.e. it distinguishes the owner’s goods, services or business from those of other. Inventive, arbitrary or suggestive features or combination of any its features will make the Trade Dress distinctive. However, in some cases Trade Dress may be inherently distinctive. Inherently distinctive Trade Dress usually refers to “Product packaging Trade Dress that serves to immediately single out a brand or product source”. Otherwise, the Trade Dress is to be made distinctive by extensive marketing and use. Most Companies therefore at least for the House Mark as well as important Trademarks, uses special fonts (e.g TATA’s new logo, GODREJ’s logo). The colours and the visual impact used on the product pack are extremely important which should be used with strict uniformity and in accordance with the guidelines laid down by the management. A typical example is the COCA COLA Trademark, which is always used in red and white colouring and a typical font which is combined with a distinctive wavy line. (Source - An article by Mr. Gerd F. Kunze, President of AIPPI). vipulb@adityaandassociates.com NOTE: This note is intended to provide a basic and general information about Trademarks. It should not be relied upon as a legal advice and is not a substitute for consultation with a lawyer or attorney as the situation may vary from case to case. Neither the author nor the firm ADITYA & ASSOCIATES or any person connected there with shall be responsible for any acts or omissions and consequences thereto on the basis of this note. This note should only be used as a discussion tool. Trade mark applications are filed as per the territorial jurisdictions of each office of the Trade Marks Registry situated at Delhi, Kolkata, Ahmedabad, Mumbai and Chennai. The jurisdiction is decided on the principal place of business in India of the applicant, and in the case of a non-resident, the jurisdiction is dependent on the address of service in India given by the foreign applicant. A notice of opposition, against any application that is published in a Trademark Journal, is to be filed with the territorial jurisdiction of that Trade Mark Office where the application was filed. Applications for rectifications may be made either to the Registrar of Trade Marks or the Intellectual Property Appellate Board (IPAB) directly. Appeals against the order or decision of the Registrar in respect of rectification or alteration of the register should be filed before IPAB within a period of 90 days. However, if any dispute is pending before any court, the application for rectification is to be filed directly with IPAB. IPAB came into force with effect from September 15 2003. The provisions relating to IPAB are contained in sections 83-100 of Trademark Act, 1999 but applicable to trade mark and patent matters. The object of IPAB is to hear and decide all appeals from the decisions and orders of the Registrar who has come from the High Court. IPAB also deals with original applications for rectification of the register. The appeal against the order of IPAB will lie before the Supreme Court as an SLP According to Section 100, all appeals against Registrar decisions and all rectification proceedings pending before any High Court are transferred to IPAB. A civil suit for a trade mark infringement or passing off cannot be instituted below a district court with jurisdiction to try the suit (Section 134). As per the Limitation Act, 1963, the period of limitation for filing suit for infringement of a trade mark is three years from the date of infringement. Where the infringement is a continuing one, a new cause of action would arise every time an infringement occurs. The criminal proceedings can also be initiated in addition to civil suit under Sections 102 to 120 of the TM Act. The jurisdiction for the purposes of filing a case would depend upon the activities of the defendants and their place of business, such as where the cause of action has occurred, where part of the cause of action has occurred, or where the defendants reside or work for gain. However, the Trade marks Act, provides for an exception with respect to a registered trade mark, allowing a registered trade mark owner to file a case within the jurisdiction of a court, from where he is carrying on his business or has his office. This provision is an exception to the general rule. Recent case law includes M/S Matrumal Dhannalal Oil Mill v M/S Abhishek Enterprises. The plaintiff failed to show that he carried on his business in Delhi or that the defendant had been selling his goods at Delhi and passing them off as those of the plaintiff. The averments made by the plaintiff failed to confer any territorial jurisdiction on this court. Once it held that the court had no territorial jurisdiction, it needed not go into the merits of the case and deal with the matter in question. The plaint is ordered to be returned to for presentation to the proper court of jurisdiction. Other recent case law includes Naini Plywood Pvt Ltd v M/S Markendeya Plywood Pvt Ltd. In this case an order was made subject to two conditions. The defendant was granted leave to apply for rejection of the plaint on the grounds of lack of jurisdiction of this court or the inconvenience of the defendant to be represented at the trial. In The Financial Times Ltd v Bennett Coleman and Co Ltd, it was held that if the rectification proceedings are pending as on the date of the suit, the court has no option but to stay the suit. Copyright is a well-recognised form of property right that has its roots in the common law system. Today, copyright law has extended protection not only to literary, dramatic, musical and artistic works but also sound recordings, films, broadcasts, cable programmes, typographical arrangements of publications and computer programs. Jurisdiction for filing applications: for copyright registration of each work, separate applications have to be made to the Copyright Office. Civil remedies (sections 54-62 of the Copyright Act 1957): a plaintiff in a suit for infringement of his copyright can seek remedies like an ex-parte interlocutory order (the Anton Piller Order for search and seizure of offending articles); perpetual or interlocutory injunction; damages on account of profits; account of profits as an alternative to damages. Every suit or civil proceeding for infringement of all types of copyright is instituted in the district court with jurisdiction. Jurisdiction is determined on the basis of the place where cause of action (infringement) has arisen or where the plaintiff voluntarily resides or operates his business. This is a departure from the general principle as laid down, wherein the place of suit is determined on the basis of residence or place of business of the defendant (The Daily Calendar Supplying Bureau v The United Concern). A civil suit has to be filed within three years from the date of infringement. Where the infringement is continuing one, a new cause of action arises with each infringement. Administrative remedies: The Copyright Act provides for a quasi-judicial body called the Copyright Board for adjudicating certain kinds of copyright cases such as: appeals against the orders of the Registrar of Copyright; applications for rectification of entries in the Register of Copyrights; disputes on assignment of copyright; compulsory licences to publish or republish works (in certain circumstances); compulsory licenses to produce and publish a translation of a literary or dramatic work in any language after seven years from the first publication of the work; disputes as to whether a work has been published or about the date of publication or about the term of copyright of a work in another country; fix rates of royalties in respect of sound recordings; and, fix the resale share right in original copies of a painting, a sculpture or a drawing and of original manuscripts of a literary or dramatic or musical work. Recently, the radio broadcasters moved a transfer petition before the Supreme Court to consolidate all the appeals against the Compulsory Licensing decision, of the Copyright Board, before the Supreme Court. The reason for filing this petition was obviously the fact that multiple appeals were pending before more than one High Court. If the issues and parties are the same before multiple forums the Supreme Court would usually be inclined to consolidate them in one location. In IPRS v Sanjay Dalia, the Delhi High Court decided to look at section 20 of the Code of Civil Procedure in conjunction with the specific provisions already available in the Copyright Act and its sister provision the Trademark Act. It states that all suits instituted must be at the place where the defendant or one of the defendants resides, carries on business or personally works for gain, or where the cause of action arises wholly or in part. On the other hand, in what seems almost contradictory, section 62 of the Copyright Act and section 134 of the Trademark Act favour the plaintiff and notwithstanding anything contained in section 20 of the Code of Civil Procedure allow for the institution of the suit by the plaintiff at any district court where the plaintiff “actually and voluntarily resides or carries on business or personally works for gain”. The Court however, in this matter, dealing purely with alleged use of copyright, held in favour of the defendants by placing reliance on several cases dealing with the interpretation of Section 20 of the Code of Civil Procedure. Stating that the cause of action was an aspect inseparable from the suit itself, the judge read section 20 of the CPC conjunctively with the jurisdictional provisions contained in the Copyright and Trademark Act. In Sholay Media & Entertainment PVT Ltd & ANR, the Court had vacated the interim injunction against Vodafone and had ordered Universal to deposit the royalties from the Sholay ringtones with the Registry of the High Court. As noted in the interim judgment the assignment deed between Sholay and Universal was capable of being interpreted either way and the Court therefore refrained from making any observations at the interim stage. This means that if a statute has vested in a particular authority the jurisdiction to hear a particular type of dispute then the civil court is impliedly barred from hearing such an appeal. In the context of this particular dispute these provisions ensure that all disputes pertaining to the assignment of copyrights under the Copyright Act are to be decided by the Copyright Board. A design gives aesthetic sense and appearance to the product which attracts customers. The creative originality of designs needs legal protection against copying. Therefore, the law provides for registration of original design and prohibits its copy by others. Filing applications: to be registered as a design in India, the law makes it mandatory to process both or either of the criteria of novelty and originality. To be novel a design need not be new. A new arrangement of old components or combination of colour, a new pattern or ornament or shape which may result in novelty of design that is appealing to eye is registrable. If the design is not new, it can still be registered provided it is original. An application to register a design is made to the controller of design. Any person aggrieved by the decision of the controller refusing to register a design may appeal to the High Court. The appeal should be made within three months of the decision. Jurisdiction for cancellation of registration: there is no provision in the Design Act, 2000 in respect of preregistration opposition to a design application. Therefore, if a person intends to oppose the registration, then the provision as per law is to be applied for cancellation of the registered design under section 19 of the Design Act. Jurisdiction for filing suit for infringement of designs: Infringement of a copyright in registered design is known as piracy of registered design. If the design is not registered under the Design Act, 2000, the proprietor will have no legal right to take any action against the infringer. The protection to the registered proprietor under the Design Act, is by way of civil remedy. It is the sole responsibility of the proprietor to see that his design is not being infringed by others. It is the proprietor’s duty to file a suit of infringement against the infringer. In a court not below a district court appealable to the High Court. It might be possible in some cases to prosecute the design infringers under Indian Penal Code for various offences such as conspiracy, fraud and cheating. Recent case law includes an order in Urooj Ahmed v Maya Appliances, where the court was faced with a pure question of law: can a suit for infringement of design be filed in the court within whose jurisdiction the plaintiff resides. There is no such provision in the Design Act; and on a plain reading, it ought to be clear that a suit must be filed in accordance with the general principles in the Code of Civil Procedure (so in the court in whose jurisdiction the defendant resides). However, the judge held in this suit that infringement of design must be held to be the same as a suit for infringement of copyright in the design. Therefore, the provisions of section 62 of the Copyright Act would apply to a case of infringement of design as well. Accordingly, the court concluded that a suit for infringement of a design can be filed in the court in whose jurisdiction the plaintiff resides. Not every invention is worthy of a patent. In order to obtain a patent an invention has to pass through the triple requirement of newness (novelty), non-obviousness and usefulness. Further, even if these conditions are fulfilled, an invention may be denied a patent if it is prohibited under the law. Every application for a patent shall be for one invention only. Jurisdiction for filing applications: an Indian resident can file an application for patent at the appropriate Patent Office, located at Mumbai, Delhi, Chennai and Kolkata, under whose jurisdiction he resides or has his principal place of business. 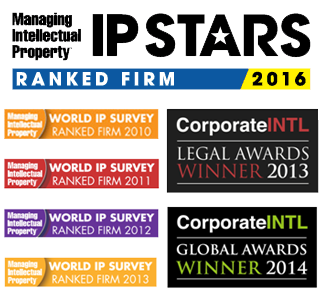 For non-residents, the address for service in India of his agent determines the appropriate patent office. Jurisdiction for filing oppositions: The Patent Act, 1971 provides for both pre-grant and post-grant opposition, to prevent the issuance of trivial patents without indulging into expensive and time consuming litigation. A notice of opposition is submitted within the jurisdiction of the controller of patents in whose office the subject patent application was filed. Every appeal against the decision of the controller can be filed beforeIPAB within three months of the decision. 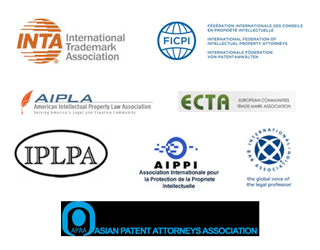 Jurisdiction of IPAB: The Appellate Board for the purpose of the Patent Act, is the same as constituted under the Trademarks Act, 1999. A patentee or opponent may file an appeal in IPAB for any decision of the controller within three months from the date of the decision or within such further time as IPAB may allow. Jurisdiction for filing an application for rectification of the register: to rectify the register by IPAB, IPAB may, on the application of any person aggrieved (a) by the absence or omission from the register of any entry; or (b) by any entry made in the register without sufficient cause; or(c) by any entry wrongly remaining on the register; or (d) by any error or defect in any entry in the register, make such order for the making, variation or deletion, of any entry. In any proceeding under this section IPAB may decide any question that may be necessary to decide in connection with the rectification of the register. Revocation of Patent: a patent may be revoked on any of the following grounds, at any time during the life of the patent: i) by the High Court, on a counter-claim for revocation of the patent made by the defendant in a suit for infringement; ii) by IPAB, on the petition of any person interested or of the Central Government; iii) by the Central Government, revocation of the patent in public interest; iv) by the High Court, on petition of the Central Government for failure to comply with the request of the Central government to make, use or exercise the patented invention; v) by the Controller of Patents, revocation for non-working of the patent; and vi) by the Controller of Patents, revocation of patents related to atomic energy on direction from the Central government. Jurisdiction for filing suit of infringement or passing off: a suit for infringement shall not be instituted in any court inferior to a District Court having jurisdiction to try the suit. However, when the defendant makes a counter claim for revocation of patent, the suit shall be transferred to the High Court because the High Court alone has the jurisdiction to revoke patents. A suit can also be initiated by the aggrieved person making a groundless threat. The remedies available are injunction, damages or account of profit, delivery up or destruction of the infringing goods or a certificate of validity of the claim in question. It may be noted that unlike copyright or trade mark there is no provision for criminal proceedings for infringement of patent. Recent case laws include that of Somasundaram Ramkumar. In a writ petition challenging the orders of the Mumbai and Chennai Commissioners of Customs, who had held that Samsung and other dual sim mobile phone companies did not infringe Ramkumar’s patent by importing dual sim phones. The High Court stayed the orders on the ground of jurisdiction, holding that the Customs Commissioners did not have the jurisdiction to decide patent infringement. Aloys Wobben v Enercon (India) Limited WP 2010, The Madras High Court dismissed Wobben’s petition on the grounds that the Supreme Court case law suggested that when there were multiple appealable issues before a court, all of them must be decided while the suit is being disposed and that the suit cannot be dismissed on the basis of only one issue. Aloys Wobben v Shri Yogesh Mehra & others: in this case Justice Ravindra Bhat rejected an application filed by Wobbens, seeking either dismissal or a stay of revocation petitions filed by Enercon India, before IPAB against certain patents, which were also the subject of counter-claims for revocation before the Delhi High Court. Recording the reasons for his dismissal Justice Bhat states that patent rights are different from other rights and that Parliament has consciously provided for multiple forums for revocation and to override those rights by invoking the Doctrine of Election would be against the interests of public policy especially since staying the counter-claims for revocations would seriously prejudice the defence in the infringement suits. He also cites Supreme Court case law which states that the Doctrine of Election does not act as estoppel against the statute. Special provisions for instituting a suit against infringement or passing off where the plaintiff (and if more than one party, any one party) resides or carries on business as per section 62 of the Copyright Act, 1957 and section 134 of the Trade Mark Act, 1999 are possibly meant for convenience to the plaintiff against the threat of infringement or passing off. However, in the last decade, the contrary has been noticed, and the misuse of these provisions has become very common. It is not out of place to mention that several orders have been passed and obtained (and mostly ex-parte) against small and unknown parties on behalf of large corporations and multinationals merely on the basis of a very small branch office or distributor office situated in a small place or a flat in a complex, while its registered or corporate office is situated in another city. Thus, instead of approaching the District or High Court where that registered or corporate office is situated, jurisdiction is in essence created and ex-parte orders are obtained. We have noticed and experienced exparte orders against some parties who are using trade names or trade marks for several years and even decades, which many times not similar but without hearing their pleas, it is considered similar even though they have rights due to long and continuous use. Now, these small companies and parties are unable to fight back mainly due to the heavy expenses involved in litigation and so unable to place their views and facts before the Court. It is necessary to look into the possible views of the other side before arriving at a conclusion, especially when a case is not prima facie made out by way of asking the Plaintiff(s) to serve notice on other side. We are of the opinion that these jurisdiction provisions are being rampantly misused and small companies and individuals are left facing the might of money in the form of large multinational corporations. This needs to stop. The present Indian Designs Act 2000 was enacted repealing the Design Act 1911, to facilitate the changing demands of a developing nation. India’s progression in design activity made it important to protect design to promote a healthy competitive market economy and also to bring the law in consonance with the TRIPs Agreement. Design as per section 2(d) of the Designs Act 2000, means shape, configuration, pattern, ornament or composition of lines or colours applied to any article whether in two dimensional or three dimensional or in both forms by any industrial process or means whether manual, mechanical or chemical, separately or combined, which in the finished article appeals to and are judged solely by eye. By registering a design, protection is only conferred on the features of shape, configuration, pattern, ornament or composition of lines or colours applied to any article. Such article can be any article of manufacture and any substance artificial or partly artificial and partly natural and includes any part of an article capable of being made and sold separately. The design does not stand on its own as an artistic work but is to be copied or applied or affixed in a commercially produced artifact/object by an industrial process conferring protection on the manufactured article itself without any conceptual separation between the artistic work and the product on which it is applied. Such design applied to an article can be in two dimensional or three dimensional or in both forms, by means of any industrial process, whether manual, mechanical or chemical, separate or combined, which in the finished article appeal to and are judged solely by eye. To be registered as a design in India, the law makes it mandatory to possess both or either of the criteria of novelty and originality. To be novel a design need not be new. A new arrangement of old components or combination of colour, a new pattern or ornament or shape which may result in novelty of design and appealing to eye is registrable. In cases where the design is not new, it can still be registered provided it is original. As laid down in Bharat Glass Tube Limited v Gopal Glass Works Limited [2008 (37) PTC 1 (SC)] the term original, in relation to a design, means originating from the author [or creator] of such design and includes those cases which though old in themselves yet are new in their application. The Design Office while processing the design application for registration compares it to all previous designs applied to all articles in the same class. The outer appearance of the design on an article is the only criteria to decide whether particular design is prior in existence. It is imperative that a design can be categorised as new and/or original in substantial manner. Just any trade variant or mere arrangement or re-arrangement in a design does not make it new or original. However, the fact that two things are similar does not necessarily mean that there cannot be any point of difference at all. It is to be noted that a small difference is sufficient to avoid alleged infringement if there existed such small difference between the registered design and the prior registered design. The object of the Designs Act is to protect new or original designs created to be applied or affixed to particular articles as manufactured by industrial process or means. The purpose is to see that the artisan, creator, originator of a design with a particular aesthetic look is not deprived of his bonafide reward by others applying it to their goods. The word, original, contemplates that the person had originated something by his exercise of intellectual activity which had not occurred to anyone before. The terms new or original involve the idea of novelty either in the pattern, shape, configuration or ornament itself or in the way in which an old pattern, shape, configuration or ornament is to be applied to an article. There must be the exercise of intellectual activity to suggest for the first time, something which had not occurred to anyone before as to applying pattern, shape, configuration or ornament to an article to which it had not been applied before. It is important as laid down in Bharat Glass Tube Limited v Gopal Glass Works by the Supreme Court that a design in abstract cannot be registered. A design has to be registered in relation to some article. It is also important that an addition or minute alteration in design to a well recognised shape of an article of common use in the market cannot make it an article new or original in design. Publication of a design prior to application for registration renders the design unregistrable and consequently un-protectable. To avail protection by registering a design it is mandatory that the design should not have been disclosed to the public anywhere in India or in any other country by publication in any tangible form or by use in any other way prior to the date of filing the application. Exception can be made by disclosing the same in an exhibition with prior intimation to the controller of design and necessary application is made within six months from the date of first exhibiting or publishing the design. There is no territorial limit to the scope of prior publication. Prior publication in India or elsewhere will have the same effect of invalidating a design. As held in Reckitt Benckiser (India) Ltd v Wyeth Limited 2009 (41) PTC 24(Del.) while a previous registration in India would be a ground for cancellation without looking into the aspect of disclosure to the public or publication in general, a design registered in any other country prior to the date of registration in India would also be required to have been disclosed to the public by publication in tangible form or by use or in any other way for it to qualify as a ground for cancellation of the subsequent registration in India. member of the public who was under no obligation to keep it secret. It was observed that publication even to a single person is sufficient. In Gunston v Winox Ltd.[38 RPC 40] it was held that showing of a design to a prospective customer to obtain an order constitutes publication thereof. In A. Pressler & Co. Ltd v Gartside & Co. (of Manchester) Ltd and Widd & Owen Ltd [50 RPC 240], the availability of the design in a private library was held to constitute its publication. In W. Steel & Co. Ltd [1958 R.P.C. 411], the publication of the design in a magazine was sufficient to constitute its publication. According to Gopal Glass Works Ltd v Assistant Controller of Patents & Designs [2006 (33) PTC 434(Cal)] under the law presently in force in India, specifications, drawings and/or demonstrations in connection with registration of a design do not per se constitute publications which prohibit future registration of that design. Had publication of design specifications by a registering authority, particularly a registering authority in a foreign country, in connection with registration of a design, in itself, amounted to prior publication, it would have hit all future applications in India for registration of designs. It is significant that parliament consciously made publication in a country other than India a ground of cancellation, in addition to publication in India, but expressly restricted the embargo of prior registration to registration in India. Thus registration in a country other than India has not been made a ground for the cancellation of a registered design. To constitute prior disclosure by publication to destroy the novelty of a design, the publication should have to be, in tangible form applied to the same article. Prior publication of a trade catalogue, brochure, book, journal, magazine or newspaper containing photographs or explicit picture illustrations that clearly depict the application of the design on the same article with the same visual effect would be sufficient. In the case of Joginder Singh v Tebu Enterprises Ltd [AIR 1989, Del 16] the court held that if the goods imported from abroad are used by the importer without its disclosure to anyone else and goods of such design are not freely available in India, then there is no publication of the design so imported. If, however, the goods which are imported are used in full view of the general public, the design of such goods are regarded as published in India and would not be regarded as new or original designs. It is important to compare the pattern and/or configuration and consider the visual appeal thereof and also the visual appeal of the pattern and/or configuration on the article, for example the visual appeal of the finished product. The main criteria of comparing design are a visual comparison of physical dimension of two products. Thus, it is important to display the design from all angles and the test of ascertaining whether the two designs are identical is that the designs have to be judged by the eye and each design has to be compared as a whole with all its novel features, important and unimportant. To be registered, a design must be applied to an article by an industrial process but that does not mean that the article must be machine-made, because hand- made articles may also be registrable. The nature of article on which the design is applied should be suitable so as to be produced in quantity. An article which is a part of another article and can be manufactured and sold separately is entitled to separate protection, as laid down in Marico Limited v Raj Oil Mills Limited [2008 (37) PTC 109(Bom.) (DB)]. This kind of article, which is separate from the other parts of the goods and registered separately as a design, if intended and or desired by the proprietor of the registered article, as capable of being made and sold, is saleable in the market separately. Therefore, it is registrable under the Act. The phrase, as inserted, in the Designs Act 2000, now even covers “any part of an article capable of being made and sold separately”. Thus, once a part of an article falls within the ambit of the definition of an article and is capable of being made and sold separately, then whether such article or part of an article has any commercial identity in the market of its own is immaterial. It is an exclusive privilege and or a right of the registered owner of the design to sell it separately or not. The registration of a design confers upon the proprietor copyright in the design for the period of registration, thereby conferring exclusive right to apply a design to the article belonging to the class in which it is registered. The duration of protection is initially ten years from the actual date of filing of the application. If before the expiration of initial term of ten years, an application for extension of period of copyright is made to the controller, the period of copyright would be extended for a second period of five years. In cases where claim to priority has been allowed the duration is ten years from the priority date ie date of making an application in the reciprocal country. A design which comprises or contains scandalous or obscene matter, is not registrable. Registration of a design is procedurally different from the registration granted under the Patents Act 1970 and/or the Trade Marks Act 1999. Under both the Patents Act and the Trade Marks Act, prior to registration there is a substantive examination, publication before registration and provision for opposition by any third party before registration. These are all absent in the case of a registration of a design. India follows the Locarno Classification for registration of design comprising 32 classes, numbered 1 to 31 and an additional class 99 to include articles not falling under the aforesaid 31 classes. These classes are further divided into sub classes. An inventor or any other person or company assigned by the inventor, can make application with the designated office to register a design in a particular class depending on what material the article is made of. An application to register a design is made using Form-1 accompanied by four copies of representation of the design and the prescribed fee. Application can be filed at one of the four offices of the Patent Office located at Kolkata, Mumbai, Delhi and Chennai. On filing the design application, the Designs Office initially provides a filing number and filing date and issues a filing receipt. Thereafter the application is formally examined by the Designs Office and if defects are found in the application then the same is communicated to the applicant. Once the application is found to be in order it is accepted and the Designs Office issues the registration certificate. Registered designs are open for public inspection only after publication in the official gazette on payment of prescribed fee on a request made in prescribed form. Once the design is registered, it is necessary that the registered proprietor mark the article, indicating the number of registered design (except for textile designs). The registered proprietor of a design will not be able to claim damages from any infringer until and unless it is established that proper steps were taken at marking the article, or else the registered proprietor has to establish that the infringer knew or had received notice of existence of copyright in the design. Design rights are territorial rights and are granted on a country-by-country basis. An Indian registration provides protection only in India and its territories. If the proprietor of a design wishes to protect a design in other countries, the owner must seek protection in each country separately under the relevant laws. There is no system as yet wherein a single design application is sufficient to protect the design right internationally. However, India is one of the countries party to the Paris convention and it provides certain privileges to member countries in design registration. A party who files design application in a member state of the convention, such as India, can within six months of that filing date, file applications in other member countries claiming the priority of the first application. If such a design is accepted for registration it will be deemed to have been registered from the same date on which the application is made in the home country. As the rights conferred under the Designs Act is known as copyright, there is some overlapping between the design under the Designs Act and the Copyright Act. However, the rights thereunder are aptly detailed in Microfibres Inc. v Girdhar & Co. & Anr 2009 (40) PTC 519(Del.) (DB) which emphasises that under the Designs Act, a copyright has a different connotation from a copyright under the Copyright Act. If the design is registered under the Designs Act, the design would lose its copyright protection under the Copyright Act. It is pertinent to note that s.15 of the Designs Act clearly states that if a design is registrable under the Designs Act but has not so been registered, the design would continue to enjoy copyright protection under the Act so long as the threshold limit of its application on an article by an industrial process of more than 50 times is not reached; once that limit is crossed it would lose its copyright protection under the Copyright Act. However while there is an overlapping area under which the protection of design is covered under Design Act and Copyright Act, protection cannot be claimed for a design under both the Acts. In Devendra Somabhai Naik v Accurate Transheat Pvt. Ltd [2005 (31) PTC 172 (Guj.) (DB)] when the law says that the copyright shall cease as soon as an article to which the design has been applied has been reproduced more than fifty times, then the logical and intelligible interpretation would be that any article has been produced for more than fifty times applying the said design. Application of the design for manufacturing or creating an article would not mean that the design has been reprinted and has been posted on the body of the machine. The word, application, in the present context would mean that the knowledge has been derived from the said design and that knowledge has been applied for manufacturing a particular machine. If the design is not registered under the Designs Act 2000, the proprietor will have no legal right to take any action against the infringer. The protection to the registered proprietor under the Designs Act is by way of civil remedy as per provisions of section 22 of the Act. It is the sole responsibility of the proprietor to see that his design is not being infringed upon by others. It is the proprietor’s duty to file a suit of infringement against the infringer. The reliefs which may be usually awarded in such a suit are – injunctions (interim or final) and damages. Under the Designs Act 2000 no criminal action is available against the infringer. Since there is no provision towards pre-registration opposition against a design application, if a person intends to oppose the registration, then the provision as per law is to apply for cancellation of the registered design under section 19 of the Designs Act 2000. Any person interested by way of petition may request the controller of design to cancel the registration on the ground that the design has been previously registered in India or published in India or any country prior to the date of registration, or it is not new or original or it is not registrable as per the Act or it does not fall within the scope of statutory definition of design. Pertinently, every ground on which registration of design may be cancelled under section 19 of the Act aforementioned, shall be available as a ground of defence in any suit or a proceeding where a relief is sought under sub-clause (2) of section 22 of the Act of 2000 for recovery of damages/injunction; once such a ground is taken in defence, then under section 22(4) of the Act of 2000, the suit or any such proceeding is to be transferred to the High Court for decision. It would not be lawful for any person to apply or cause to be applied to any article or any class of article in which the design is registered, the design of any fraudulent or obvious imitation thereof for the purpose of sale without the licence or written consent of registered proprietor of the said design. The law also prohibits doing anything with a view to enable the design to be so applied. In other words if a person places orders to the manufacturer or an importer of goods for which the design is an obvious imitation or similar to a design registered in the name of another person for the purpose of sale of the said goods under its own brand, it would clearly be contravening the law. It would also be unlawful for such a person to publish or expose for sale of the pirated version of that registered design. Once a legal proceeding is initiated by the registered proprietor claiming ad-interim injunction, then the following criteria are applied to the grant of ad interim injunction: i) whether the registered proprietor has made out a prima facie case that there is a bonafide contention between the parties or a serious question to be tried, (ii) whether the balance of convenience is in favour of the registered proprietor, that is to say whether it would cause greater inconvenience to the registered proprietor if the ad interim injunction is not granted than the inconvenience to which the other side will be subjected if it is granted, and, (iii) whether the registered proprietor would suffer irreparable loss and injury if the prayer for grant of temporary injunction is refused. All these three considerations must be satisfied before the order of ad interim injunction is granted by the court. Design is a very important and effective intellectual property right especially in a world where the shape and configuration of products and product packs is ever changing to attract and appeal to the masses. Compared to patents and other forms of intellectual property, design is a very effective way of protecting an intellectual activity and can be done in a relatively short period of time and with minimal cost. Moreover, exclusive protection is conferred to the new and/or original designs applied to any products for a period of 15 years, while the definition of design and article are broad enough to confer wide protection under the Designs Act.